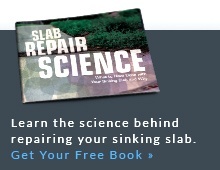 Do you have sinking, cracked concrete slabs around your Greater Birmingham property? Trust the experts at Alabama Professional Services to help. With innovative concrete repair solutions, they can improve your home's safety, appearance, and value. Schedule a free service estimate in Birmingham, Mobile, Montgomery, and nearby in Alabama today! Conditions where outdoor concrete has already begun to sink is not uncommon in Alabama and is often the result of shifting or a weak soil base or erosion. It causes driveways, sidewalks, walkways, concrete steps or patio areas to become tripping hazards and can effect property value. Alabama has a rich history of agriculture as well as diversified interests. The soil in the Heart of Dixie has a variety of soil types, ranging in density and load-bearing capacities. Today, select contractors in Alabama are trained and to provide a better alternative to mud jacking. PolyLevel is a less intrusive, lighter weight solution that doesn't add more weight to the problem. If you are seeing signs of sinking concrete on your property, have a contractor to provide the PolyLevel alternative to mud jacking take a look at it. 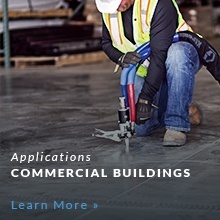 The following Alabama contractors are trained and to provide a free estimate to solve your sinking concrete problem. I have a back porch and front steps that need to be raised at the above address. Fix uneven garage floor threshold. Gap at the bottom of garage door. New construction home. Concrete front porch slab settled about 1 inch on right side. Foundation and block are ok. I'm in Alexander City. Do you service this far? How much to pump under about 20x50 section of driveway. Email me your response. Thanks. Certain portions of the driveway have cracked and sunk. We have several sections of a raised pool deck that need to be raised and leveled. Our driveway consists partly of the spillway for our neighborhood lake. When the utilities were installed to our house, they cut a trench in the concrete spillway. Now the concrete in the trench has settled. I'd like to life the concrete back up to grade with the rest of the spillway along the entire cut. Need to raise a small concrete patio. It has a depression right at the back door. I have a walkway between the driveway and front door that has sunk. I'd like to get it lifted even with the driveway. We have settling over time and cracks in our concrete. Some unlevel areas. Looking to see how to fix that aspect and maybe put a smooth layer over top too. There is an area of the slab that has sunken over time and there is a crack in an exterior block wall. In the process of purchasing a house. The back concrete pool deck is cracked near the pool steps and is slightly sunken about an 1/8" on one side. Would like an estimate on what raising this small section of concrete back to its level position and sealing the crack would cost. Thanks. Pool area- One Section 4' x 9'. The 4' section is sloping from 1/2" down to 3/4". Sidewalk on pool has sunk roughly an inch. Comment: I have a back porch and front steps that need to be raised at the above address. Comment: Fix uneven garage floor threshold. Gap at the bottom of garage door. Comment: New construction home. Concrete front porch slab settled about 1 inch on right side. Foundation and block are ok. Comment: I'm in Alexander City. Do you service this far? How much to pump under about 20x50 section of driveway. Email me your response. Thanks. Comment: Certain portions of the driveway have cracked and sunk.